Description of "Stories of Real People and Places in India"
A book of village Life and personalities in Himachal Pradesh. A well known book writer. He is an engineer by training and lives in Canada. 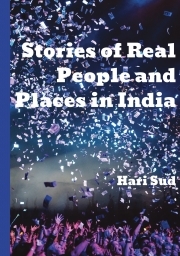 Reviews of "Stories of Real People and Places in India"